I love receiving presents and even more so when it’s a surprise! For S$19.95 per month, Bellabox is a subscription beauty box, containing 5 or more samples of the latest and greatest in makeup, haircare, skincare, bodycare and fragrance that’s delivered to your home every month. Just fill in the Beauty Profile so they can customize your box. 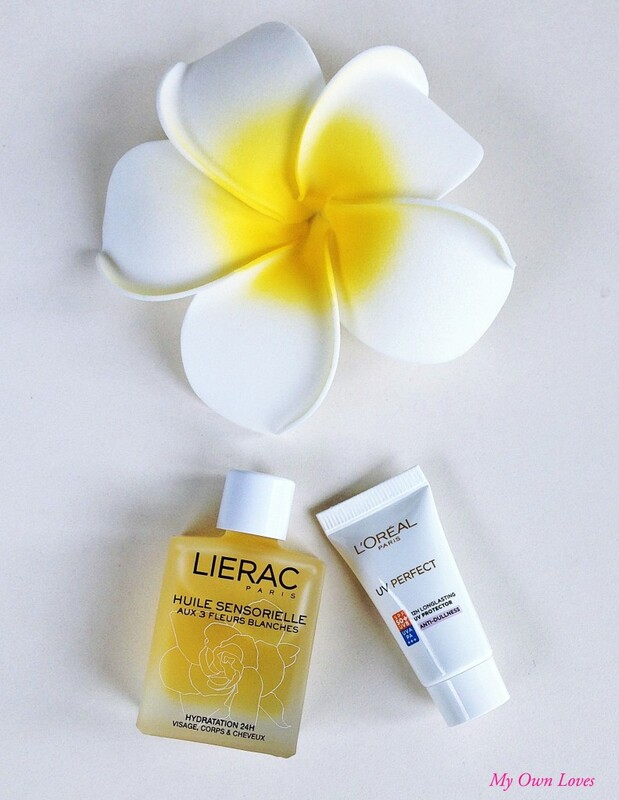 I love how the sample sizes also make them good travel companions. If you happen to love the samples, then go to their online beauty store (which has over 50 brands and counting) to purchase the full size. How easy! I am also so excited that Bellabox is also expanding to Hong Kong, Malaysia, Indonesia, Philippines and Thailand soon! Recently, Bellabox sent me their July box. And it fits me to a T! The theme for the month is La Petit Parisienne. As my friends know, Paris is one of my favourite cities and French beauty is a must have for me. Needless to say – I was thrilled. Let’s go through this delicious box of goodies which even came with some cute macaron stickers. Yay! I had heard many “glowing” reviews about Glamglow masks and was happy that this box contained 2 from their range. This mask is supposed to clear off all the nasties and toxins for clearer skin in just 5 minutes. Sounds amazing to me! S$92 for the full size. Super cute facial mask that’s in the shape of a macaron. In Pink too! It comes in a set of 10, with different hydrating properties for various skin needs. I got the collagen one. The full box is S$25 and contains 2 of each of the following masks – Hyaluronic Acid, Collagen, Q10, Red Wine Extract, Glacial Mineral Mud. My friends have been raving about the Nuxe white range recently so this sample came at the right time! This moisturizer is meant to restore radiance and softness to skin. It is very light, non-sticky and has a light floral scent. The full size is S$65. Growing up with the Lóreal brand, I just assume their products WILL be good. I was correct. This sunscreen is non sensitizing, lightweight, non-sticky and smells a little like baby powder. Best of all, it has SPF 50+, UVB, UVA PA+++ protection. It has a light purple tint that will give more radiance! Full size is S$22.90. 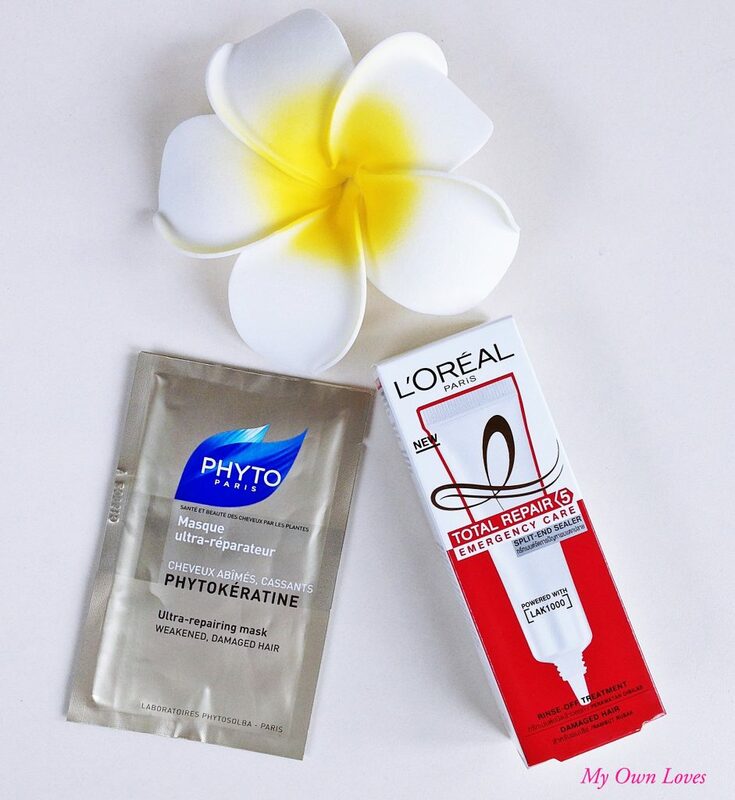 I love Phyto because it contains natural botanical ingredients and is gentle to sensitive scalps. Was so pleased to get it as a bonus item in the box. This is an intensive mask that will restore damaged hair. I am always looking for the newest and better hair mask so this will be of good use to me! Price tbc. This will come in handy for those beach holidays where my hair is going to be exposed to the elements. A new rich formula that is supposed to repair and strengthen hair. You just leave it on for 1 minute and rinse off. No more split ends for me! S$16 for 4. A lovely romantic scent with notes of jasmine green tea, florals and musk. Not too overly sweet just sophisticated and simple. Givenchy style. S$200 for the 100ml bottle. A new brand to me. 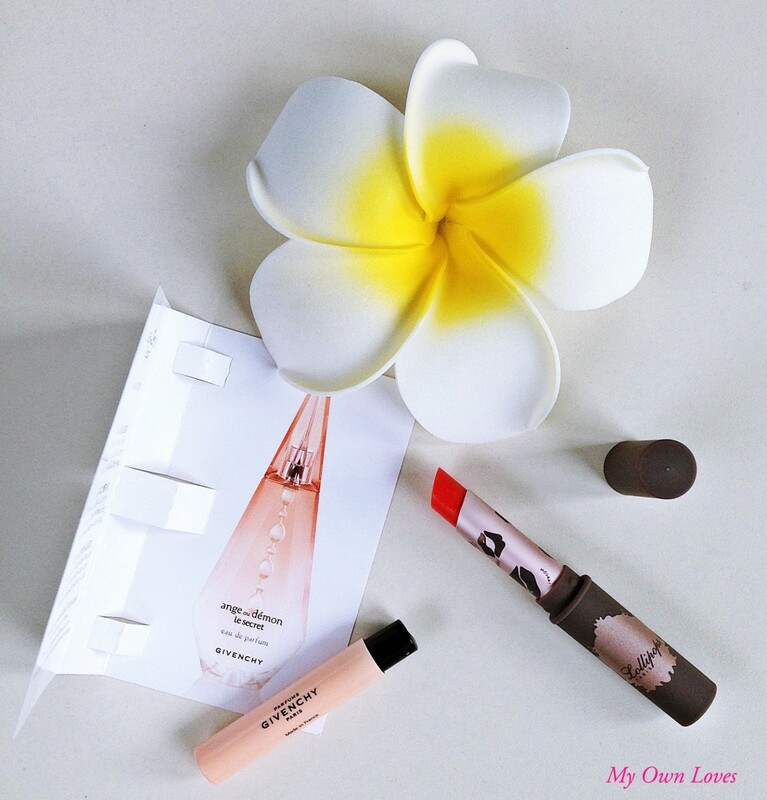 This lipstick is moisturizing and paraben free. I believe this is the full size. I received Fatal Cocktail, a light coral colour with a little shimmer. Very moisturizing and smells great. Love the packaging too. I am going to check out the rest of the range! Retails at S$27. Overall, I feel that the contents of the box are indeed worth more than S$19.95, full of great brands, both new and existing. Definitely worth subscribing to! Check out their website to order your box, see their many promotions and visit their beauty store! I love that you took pictures of everything! It looks like you got some good stuff. 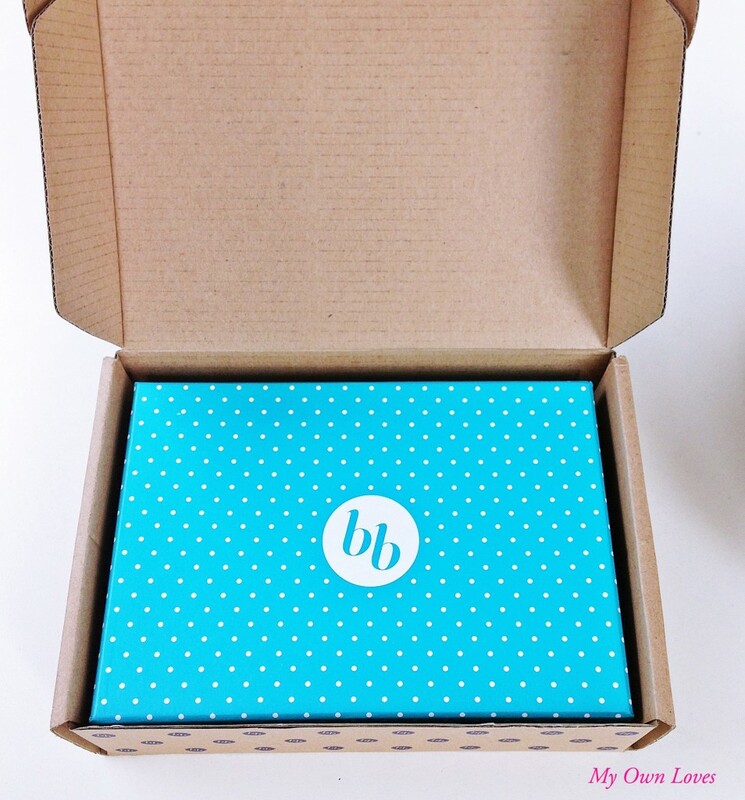 The contents of your Bellabox looks great. I’m subscribed to the Australian Bellabox and do like the contents of my July box; however, I think your boxes contents is better. I haven’t tried the Givenchy Ange Ou Demon Le Secret EDP; however, my favourite perfume is Very Irresistible by Givenchy. The macaroon shaped masks are a cute idea.